Joshua Tree Pet Resort is based on the belief that our 4-legged guest's needs are of the utmost importance. Our entire team is committed to making sure that your pet's time with us will be fun and memorable. They all get special love and attention. Every furry friend is unique to us and our individual assessment let's us know what pet care your dog or cat will need while staying at our resort. ​Our best referrals come from your dog showing you how happy and excited he is to be here. A high percentage of our business comes from repeat clients and referrals. 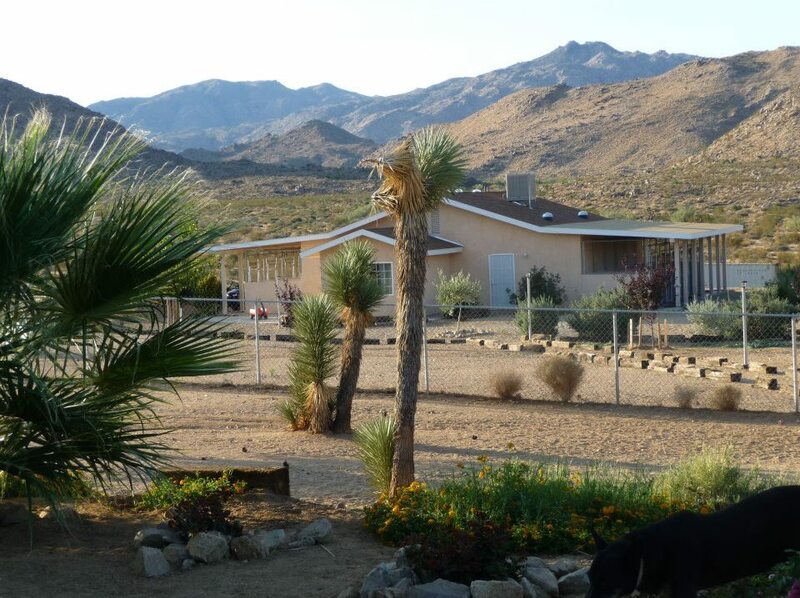 Our facility is conveniently located 4 miles South East of Highway 62 in Joshua Tree. We are located 1 mile west of the entrance to Joshua Tree National Park. Our low stress, temperature controlled facility has 12 indoor, personal kennels that are nice and roomy with plenty of space to lay down and stretch after a fun day of play. We try to utilize our large, fenced,exercise areas as much as possible during the day. We don't over crowd our facility to ensure that each and every guest gets their personal and individual time based on their needs. The property consist of 3 1/2 acres which is fenced and cross fenced. We offer individual play and exercise as well as group play for qualified dogs. Dr. Mills is a veterinarian and Christina has worked in the veterinary field for 10 years. Together, the Joshua Tree Pet Resort team has plenty of pet care experience. 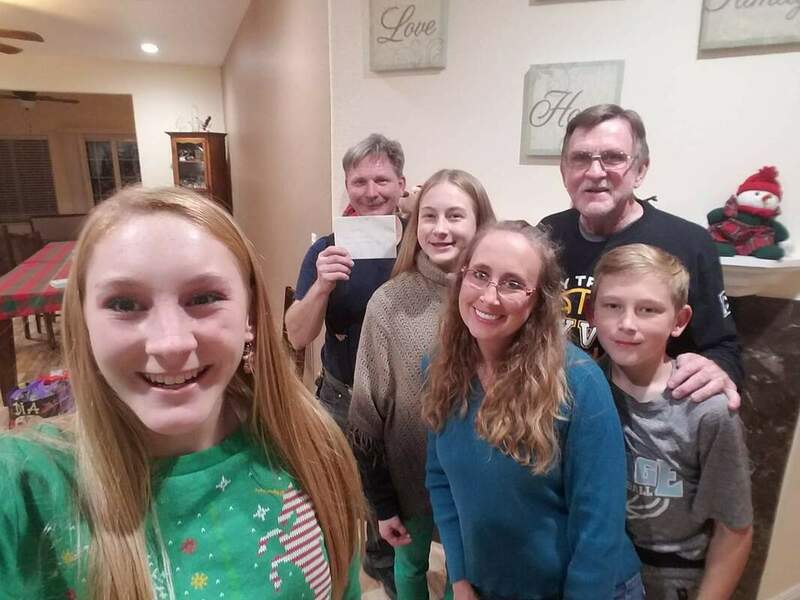 In 2003, the Mills Family moved to Joshua Tree and, soon after, Christina started the pet sitting business by doing visits in client's homes. 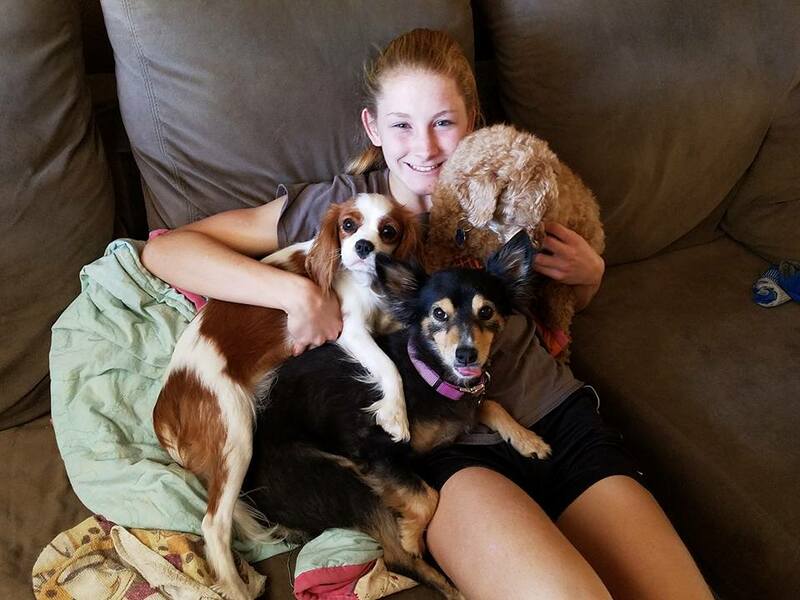 Her dream of having her own kennel facility came true in 2007 when she opened the doors to a brand new building where she started to offer more than the average kennel. Christina is the main caretaker of the kennel's guests. Her first job was at a dog/cat boarding facility. That's when her dream of having her own kennel first started. After college, she moved from Sweden to America. She has worked many years in the veterinary field, starting out as a kennel technician and then working her way up. Before she had the kennel, her favorite job was working for a spay and neuter clinic. Dr. Mills graduated from Michigan State University and has worked as a veterinarian since graduation. For the past 20 years, he has specialized in spaying and neutering cats and dogs. He works currently for the SPCA. Growing up around animals taught Emma, Sara and Daniel to be responsible, caring and sensitive towards all creatures. Between school work and sport activities the teens still enjoy giving a helping hand with the resort. 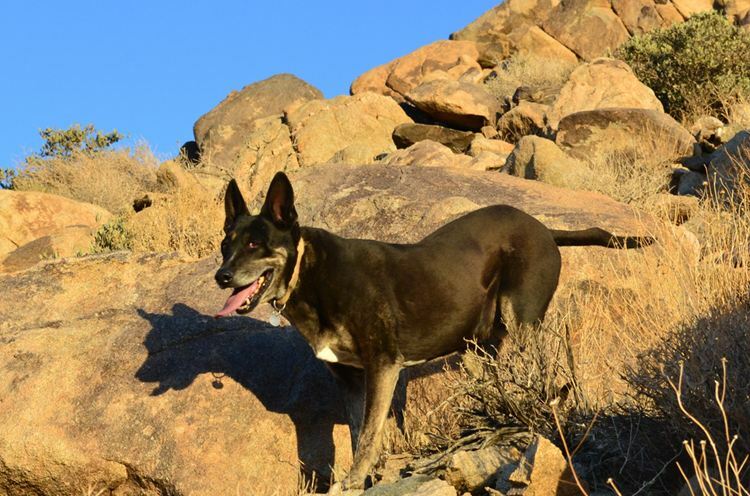 Zeke is a key member of the team at Joshua Tree Pet Resort. Zeke has had various careers since the time spent serving the country in the US Marine corps. He has worked as a general contractor and mechanic, from time to time he performs side jobs. Zeke finds working with the animals very fulfilling and finds it to be one of the most rewarding jobs he has ever had. He has a great love for the fur babies and you can tell by the way they respond, their love is mutual. Mills Family personal pets are Cocoa, a cuddly Poodle, Kiya (a Corgi/Cavalier King Charles) is our big helper. She likes to be part of all the action and particularly enjoys herding the dogs up when it's time to go in for the night. Kacie is a mischievous (Cavalier King Charles Spaniel) puppy that's always happy and ready for play, unless she is sleeping on a warm lap. The family cats are hairless Sphynx, which are popular for people with allergies. Tidbit was the resident greeter who was famous for his scary "backward" smile. Unfortunately he went to the Rainbow Bridge and he is dearly missed by many. 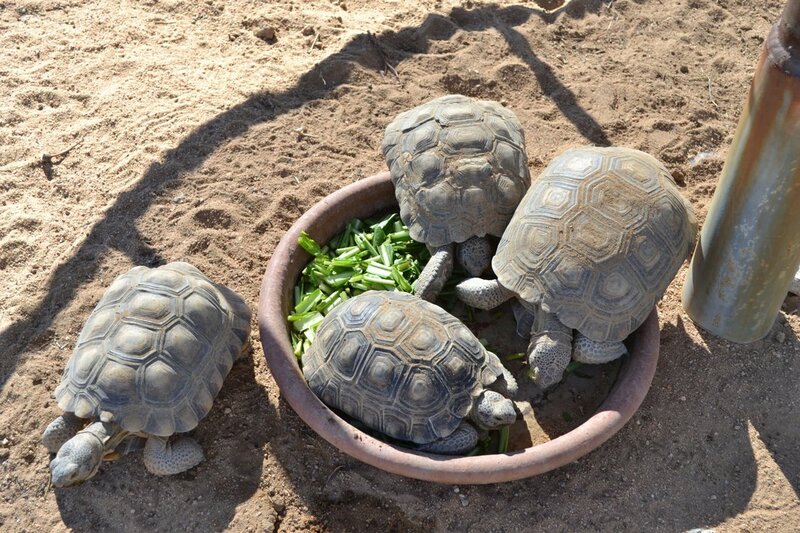 ​A Desert Tortoise rescue is also on the property.